My name is Shauna of Bark Busters Home Dog Training Brighton. I am your local behaviour therapist and trainer. I grew up around dogs but early on I decided to follow a career with horses. This was until I had my Shar Pei cross, German Shepherd / Rottweiler, Oscar. He was a super star until one day he was attacked by another dog. This turned our lives upside down. My once friendly confidant dog had turned into a nervous wreck whenever we went outside. He would try to attack any dog he saw in the street, barked continually at the front door and growled at anybody who tried to touch him. Walking him was becoming something I dreaded each day; it was embarrassing. Taking him to obedience classes didn’t help as he would be aggressive to any other dogs in the class. One day the postman knocked at the door and Oscar actually went through the glass of the door. I knew then that I needed help to get him back under control and help in understanding how Oscar was perceiving the world. I called the Bark Busters trainer in Brighton, at that time, to set up an appointment to come to see Oscar. 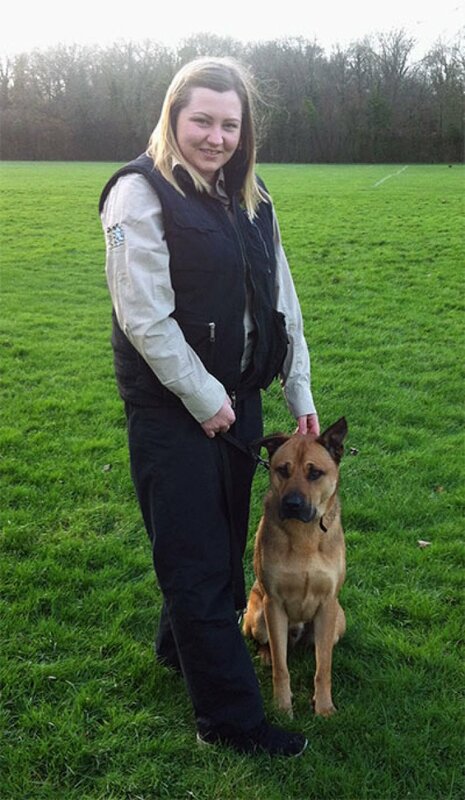 The trainer put together a programme and helped me understand how to communicate with Oscar. The programme worked wonders and Oscar soon knew how to behave well in any situation. By the end of the first lesson I had Oscar calmly waiting in another room while I answered the door. Something which I never thought I’d be able manage is a short space of time. By the second and third lessons we were walking in the street around other dogs again and Oscar managed his fears brilliantly. This is when I knew that I would like to help others with their relationship with their dog. To bring fun back into owning a dog and to make the experience joyful again, so I applied to become a dog behaviour therapist in the Brighton area. I have been using Bark Busters’ dog training methods for years and I would never have thought that I could have achieved the results in such a short space of time. I can help you to achieve these results too. I can show you how to communicate effectively with your dog in a way they will understand and to explain why the behaviour is happening. Once you know the “why” behind the behaviour we can soon get to work on “how” to fix the problem. If your dog is old, new or even a young puppy I can help. No dog is beyond help. Pulling on the lead, jumping up, boisterous behaviour, separation anxiety, aggression to dogs or people and many more I can help you. Maybe you’re looking to give your puppy the best start in life. I tailor the training programme to your needs and your dog’s needs. With just 15 – 20 minutes of training per day you will see great improvements and achieve the behaviour you want. 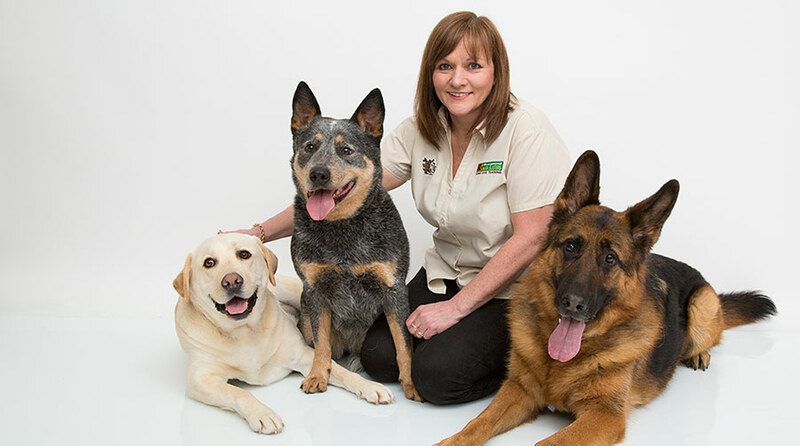 Contact me to see how I can help with your dog’s behaviour issues and together we can rebuild your relationship with your dog to be a rewarding one. You only pay once and I return free of charge until you’re happy that the problem is resolved. Also, if your dog develops a new, it’s all covered on the support guarantee at no additional cost. Read more about our Support Guarantee. Very interesting and informative. Shauna is so experienced and completely understood our problem. We look forward to working with her and feel confident she will help us reach our goals.